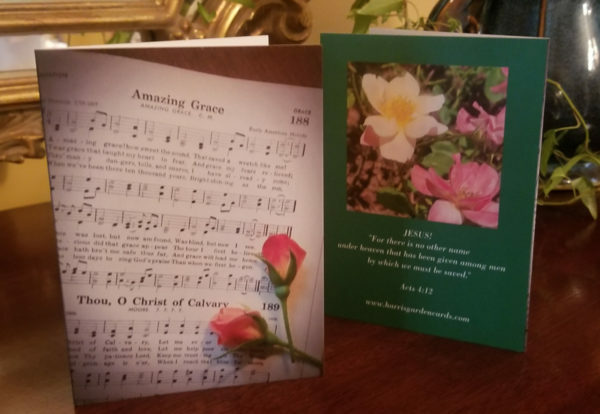 The 4 x 5.5” folded cards with blank space inside feature a photo of the world-renowned hymn of grace and another Christ-honoring hymn, with two rose buds. 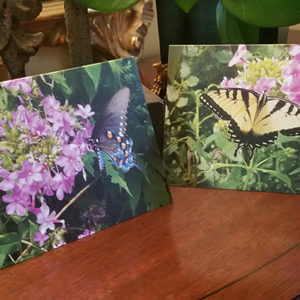 Four of these cards are included in each package. 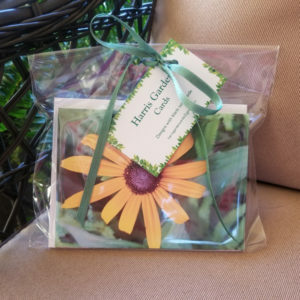 Designed for use throughout the year, the space inside each card is perfect for composing messages of gratitude, get well, sympathy, or welcome. You may also select these for penning your own personalized invitations! As with all of our stationery products, high-quality white envelopes are included at no extra charge. We can do special orders! 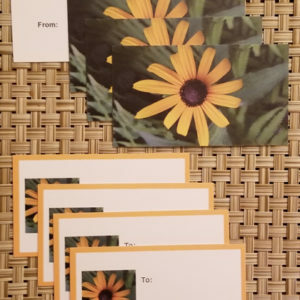 If you prefer a combination of various cards from our website in a package of 4, just specify in the order notes box under the shipping info in your cart.